Now that we had a new computer, mics and the FirePod to capture Jonathan's drums, we needed something to record them into and, finally, tweak the sounds of the kit. 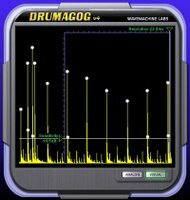 Since we are not lucky enough to have a great room to record in, nor the budget for thousands of dollars worth of microphones... we turned to the VST plugin, DrumaGog. :) I bought Cubase SE3 to record, edit and mix with, and soon I'll be purchasing the VST mastering plugin by Izotope called Ozone 3. 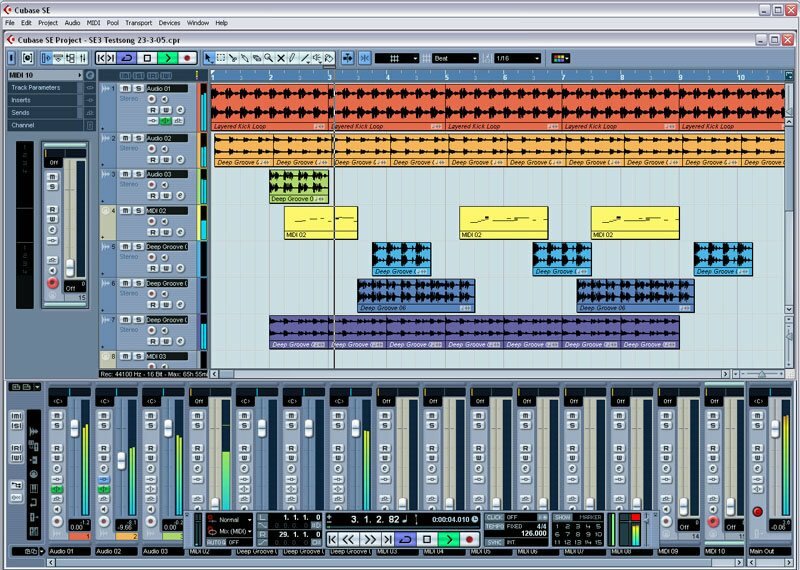 Cubase is shown in the top right. The results we are able to get with this basic off-the-shelf software and hardware is stunning. 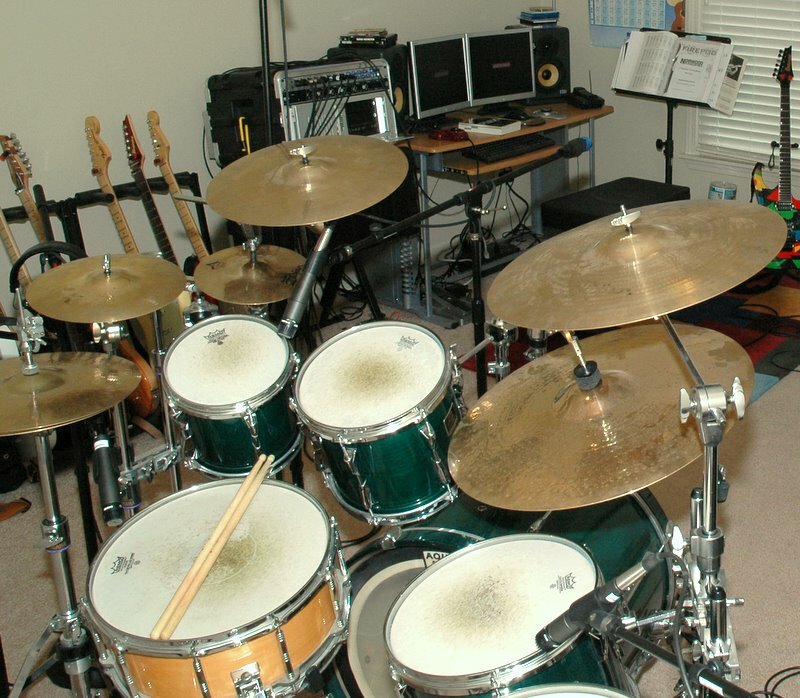 Using the DrumaGog triggering plugin, we can easily replace Jonathan's snare, bass drum and toms with real drum hits (recorded with high-end equipment in a great studio) while keeping the room mic tracks intact for cymbals and overall room tone/reverb. Check out this test clip of Jonathan playing a simple beat. 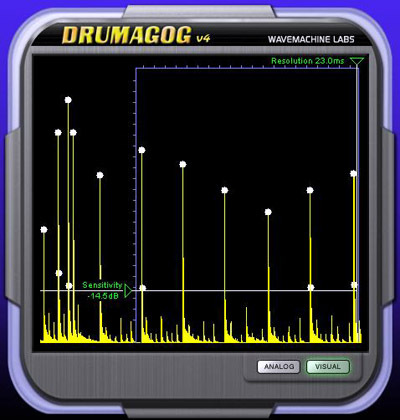 We are still learning how to improve the sound with post EQ and more advanced use of DrumaGog, but for a first try this is impressive. DrumaGog is shown above.